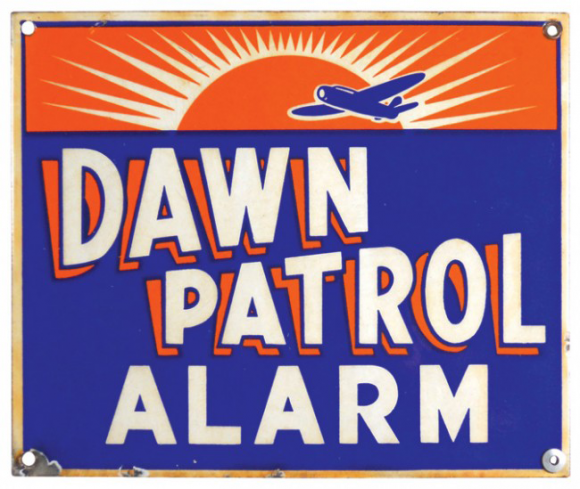 This is a square Dawn Patrol Alarm porcelain sign. This particular Dawn Patrol Alarm sign is predominantly blue and orange with white text. It reads, “Dawn Patrol Alarm” and features a blue plane flying across a rising orange sun.